Reviving BNP — what are we talking about? Posted on March 28, 2014 by jrahman	in Politics and tagged BNP, English, Featured. If there is one constant refrain in Bangladeshi political punditry, it is that BNP as a political party has no future, it is broken beyond repair, it really stands for nothing, why, BNP means Basically No Party. But defying these pundits, BNP keeps bouncing back. And yet, some pundits keep ignoring the facts of BNP’s resilience, and continue to harp on about BNP’s imminent demise. The thing is, cacophony of these pundits actually drown out some very legitimate critical analysis of BNP, analysis that BNP leaders and supporters would do well to dwell on at length. This post provides a framework to think about these critical analyses. Posted on March 2, 2014 by jrahman	in History, Politics and tagged andolon, English, Featured. 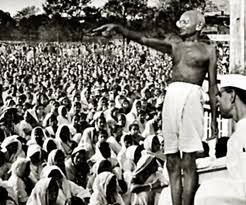 Like on most other things historical, there is no consensus on the life and work of the Mahatma, except perhaps on one thing — there is a wide agreement that he was the father of mass politics as we know it, the politics of andolon, the street politics of rallies and processions, of hartal and bandh, of gherao and oborodh, of civil disobedience and boycotts in the subcontinent. Before him, politics happened in the palaces and among the elites. He brought it to the streets and masses. And the 1921-22 non-cooperation movement was the first time our part of the world saw this mass politics. That was the first andolon to shake the entire South Asia. And it was a failure, if by failure we mean it failed to meet its declared goal. Swaraj in one year — that’s what Gandhi called for. India would not be free for another quarter century. The andolon failed to achieve what it called for. Not just that andolon, but most andolons of that kind — where the opposition party announces a clear set of demand and deadline and makes its case in the street — fails. I’ll keep to the examples from our part of the world for brevity. In August 1942, Congress under Gandhi called the Raj to Quit India. The Raj didn’t oblige. A quarter century later, in June 1966, the Awami League, under the leadership of Sheikh Mujibur Rahman, called an andolon to achieve maximum regional autonomy for the then East Pakistan. Ayub Khan, the Pakistani president, threatened to use the language of weapon against Mujib and his party. Within weeks, the streets were quiet. Fast forward another two decades to 1987. Awami League, BNP, leftists, and Jamaat-e-Islami were united in demanding that HM Ershad, in power since a March 1982 coup, steps down and allows free and fair election. 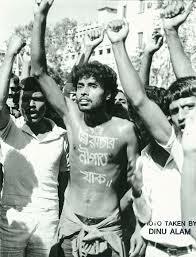 The opposition parties called for a siege of Dhaka on 10 November to achieve their objective. The opposition failed. Ershad would be in power for another three years. There is a consensus in Bangladesh that the opposition BNP’s andolon in the last winter failed. Of course, BNP failed to prevent the 5 January election, or to unseat the government of Mrs Hasina Wajed. But then again, andolons usually fail. Wait a minute here, this is selective history, all the successful andolons are being left out — I hear you say. Let’s think through these successful andolons carefully. The two andolons most comparable with the BNP’s failed one are those AL launched against past BNP governments. And to the extent that the BNP governments were unseated in 1996 and 2007, it would seem that AL andolons were successful. It would seem so, but the reality was a bit more nuanced in both cases. In 1995-96, Mrs Zia finished her term and did hold a one party election — street protests could not prevent that. The short-lived government she formed in February 1996 amended the constitution that ushered in the caretaker system. It is quite possible to argue that BNP left office on its own term, and was not forced out. It’s not so straightforward that AL’s andolon succeeded. And in 2007, BNP had rigged the caretaker system and was on course to push through a sham election much like the one held on 5 January 2014, until it was toppled by a coup. To the extent that the AL and allies were not demanding a coup, is it straightforward that the andolon succeeded? Arguably, the difference between 2007 and 2014 is that in the first case, AL had convinced Bangladesh’spowerbroker establishment to ditch BNP, while in the latter case AL had convinced the same group to let it ram through its agenda. In both cases, AL was successful not out there in the streets, but behind the scene in halls of power. Interestingly, AL did not always have such a strong grip on the bastions of power. Even in the 2001 election, these powerbrokers refused to back AL’s designs, and openly or covertly endorsed BNP. Obviously, since then BNP has fallen out with the establishment. That falling out is BNP’s real political failure, not anything that has happened in the streets. Wait, we’re still missing the seminal events in our history — what about 1952, 1969, 1990? Let’s think through those events. In each case, there were youth-led urban protests that quickly escalated and changed power dynamics. These were indeed events when the street trumped the palace. But in each of these cases, the organised political parties came let to the game. And in each cases, the most organised of the parties (and other political players) ultimately reaped the benefit. The kind of andolon that happened in 1952 or 1969 or 1990 cannot be predicted in advance, but after they happen, they almost inevitable — these are the proverbial black swan events. And while some of them succeed, not all do. 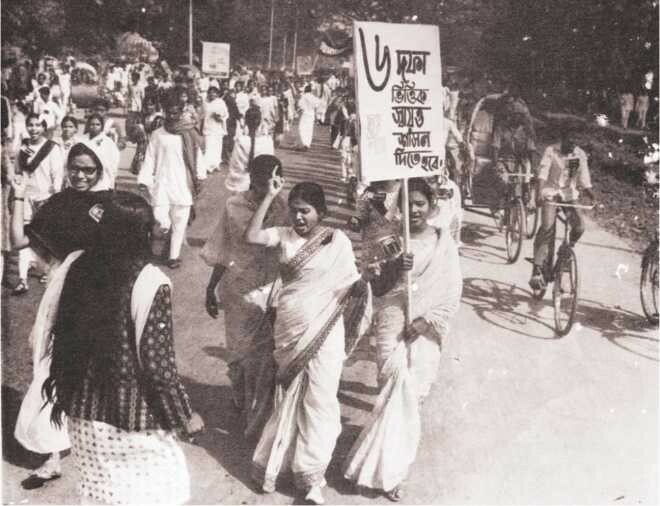 Students of Dhaka University and elsewhere rose up against military regimes in 1962, 1983 and 2007 — but the regime survived in each case. Meanwhile, there are other andolons, at local levels, that sometime succeed in achieving their aims — examples from recent past include Kansat and Arial Bil. The andolons opposition parties launch against the government are usually thwarted because the government can see them coming, and take appropriate actions. And surely opposition parties know that too. Politicians from Tofail Ahmed to Mirza Fakhrul Islam Alamgir have been in the game for long enough to know that street protests and hartals don’t bring down the government. So why do the opposition parties continue to do this? Instead of lazily pronouncing judgment about BNP’s failed andolon, pundits should focus on answering that question.